Every gun needs to be carried, protected from the elements and stored correctly when in and out of shooting season. Our range features high quality, practical slips and cases to keep your gun safe, easy to carry and mobile if you need it to be. Whether you're a hobbyist or a more experienced shooter, we've got all the equipment you need to look after your equipment. 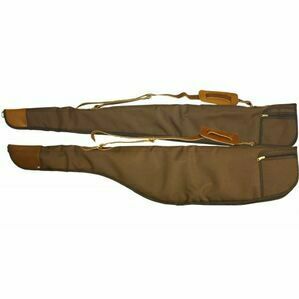 Rothery AC Shotgun Slip Case With Green Cover - 50"